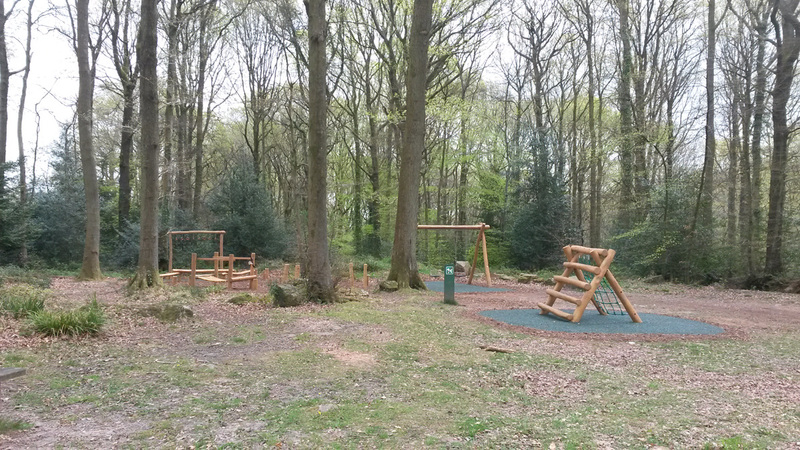 Our new wooden play equipment has been installed in The Glade replacing the old pieces that had become dangerous. The Village Hall Committee are very grateful to Natural Resources Wales (who now run what was the Forestry Commission in Wales) for providing this wonderful resource for our children, and agreeing to maintain it for the next five years. Under the terms of our previous agreement, the Village Hall Committee was responsible for replacing the old equipment, which we could not afford to do at the moment, particularly as we are putting all our resources into raising funds for the village hall heating. That is why we are so grateful, and relieved, that NRW have been able to come to this new agreement. It looks very attractive and fits perfectly into the woodland setting. A great facility for the village.